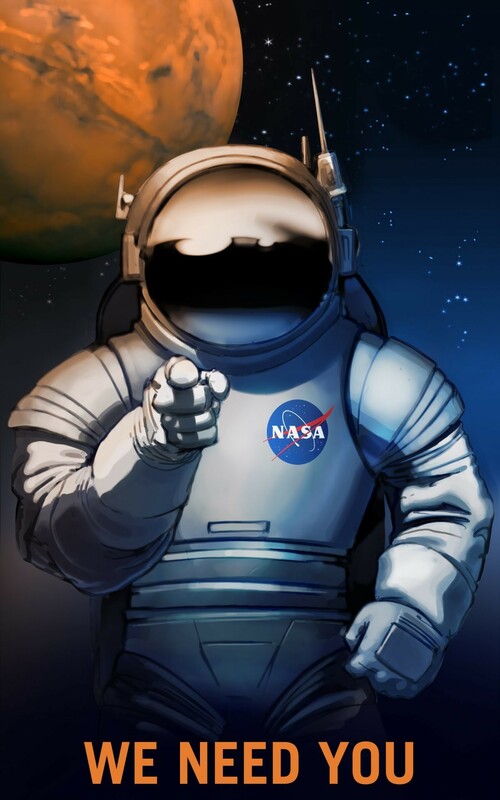 NASA needs people who want to go to Mars . 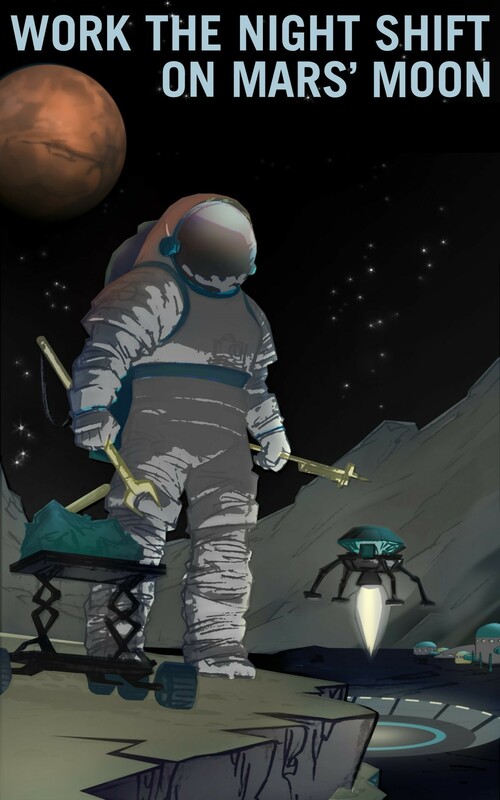 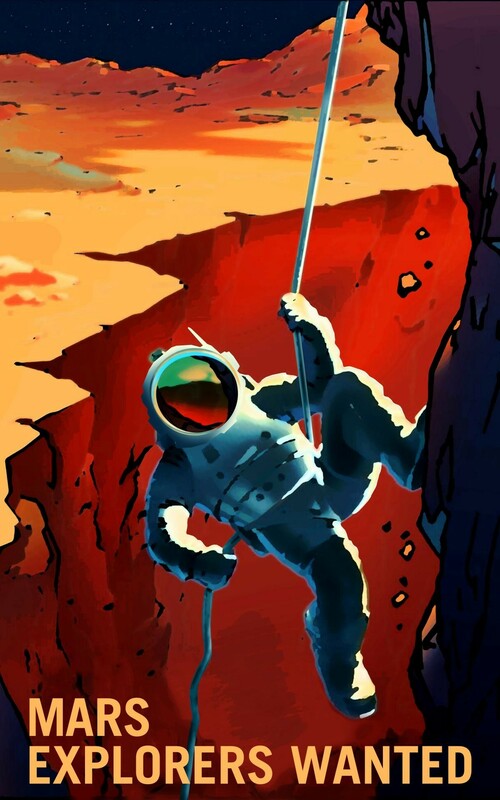 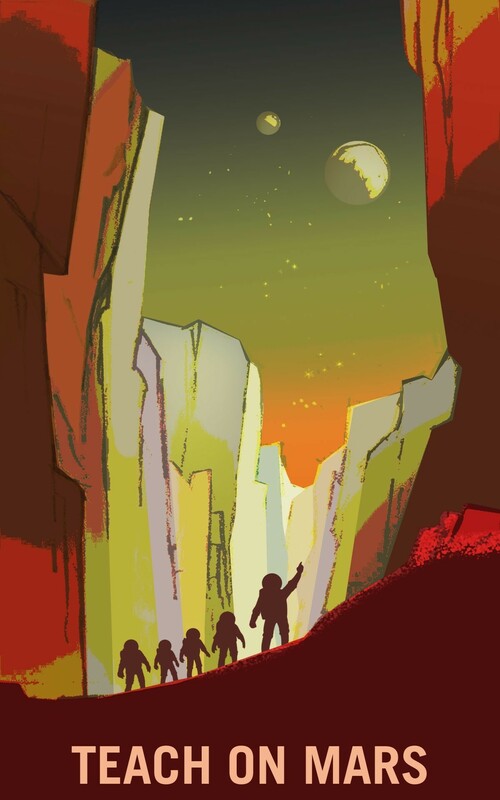 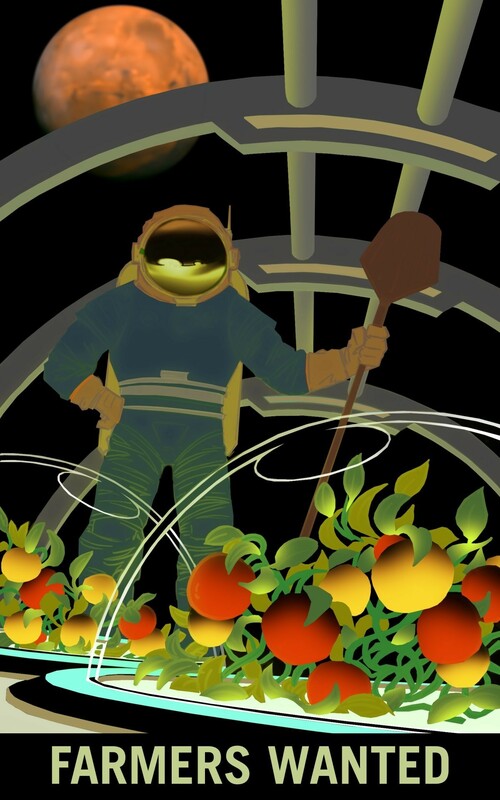 Currently, NASA is hoping to be able to send humans to Mars in the 2030s . 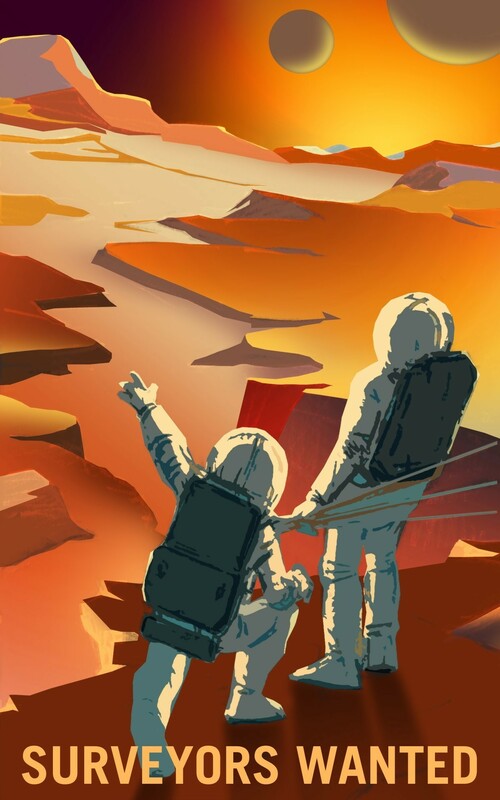 But it's got competition: Elon Musk, the founder of SpaceX and electric-car maker Tesla, hopes to send humans to the red planet by 2026. 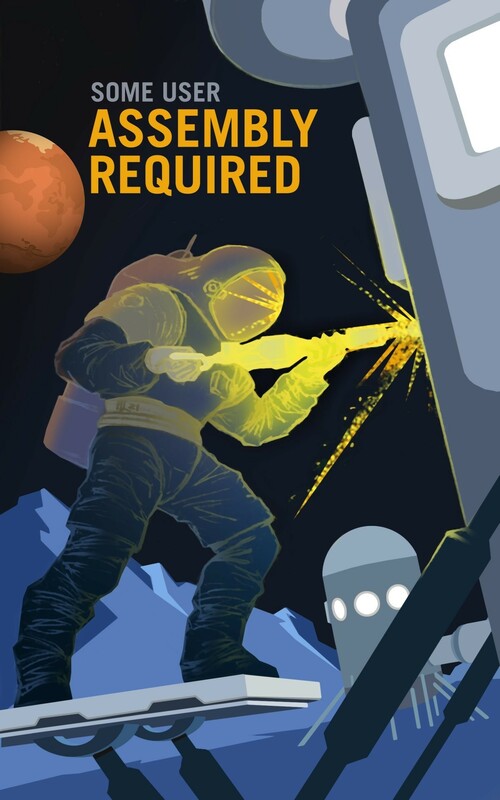 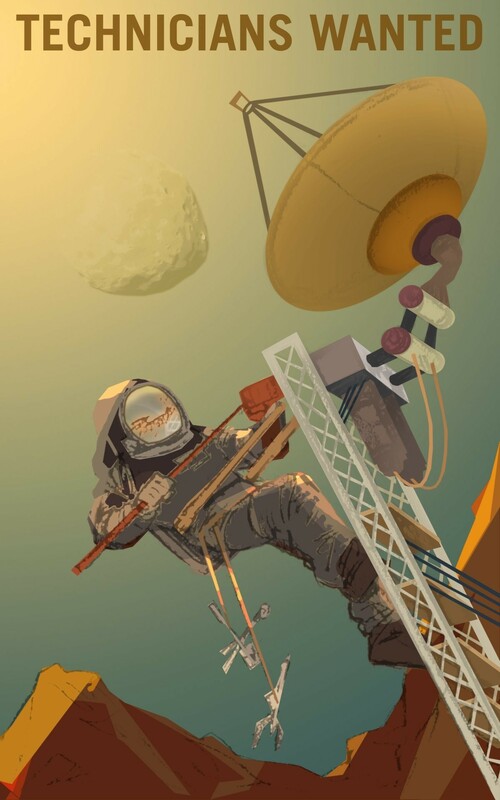 You can see all of the posters below, or if you'd like to print one up for your office, school, or home, NASA is also making huge TIF files available from its site .